I am sure that most of you know by now that Keith Haney and KHR will make their NHRA Pro Mod debut at Topeka next weekend while driving one of Rickie Smith’s Musi Powered Camaros. This weekend Keith is getting some seat time in the car though. This morning at Tulsa Raceway Park, Keith Haney got his first taste of the Rickie Smith Musi Powered Camaro that he will be piloting in Topeka, KS next weekend as part of the NHRA national event. Keith, along with his sponsor Summit Racing, have teamed up to take a shot at the show next weekend. 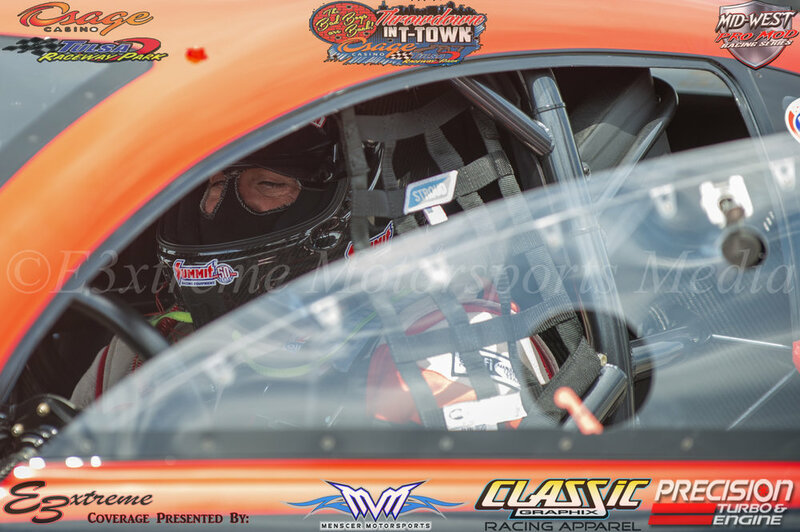 Keith, who is already an accomplished pro mod driver, whether it be from his time competing in the PDRA, or to his current time with his Mid-West Pro Mod series, is certainly no stranger to cars that go fast. Driving a car that was set up for someone else is a different animal though, and as such warrants testing the beast before the show. You wouldn't just pick up a bat and think you could take Randy Johnson yard in the opening game of a World Series, and this is the same thing. Keith is going to be facing to best of the best if you will when he rolls into Topeka next week. 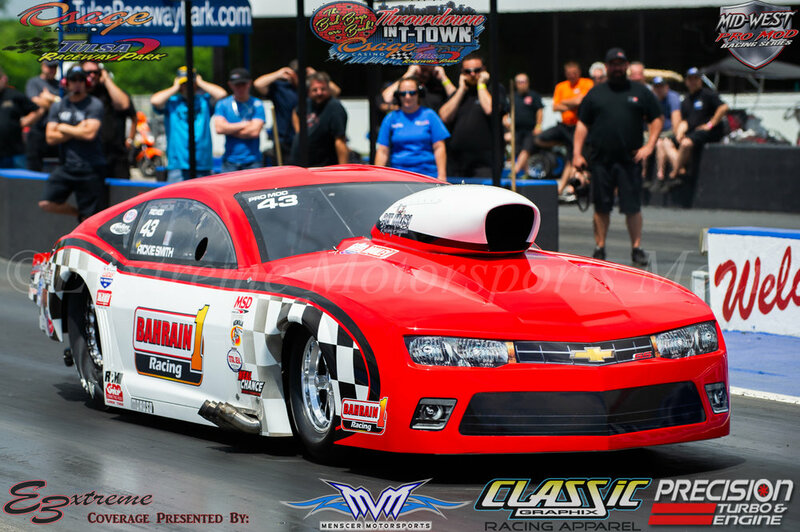 Luckily for him, some of the best are on the property at Tulsa Raceway Park this weekend for the Mid-West Pro Mod Series, and Throwdown in T Town to offer a helping hand. When you are driving a car owned by one of the greatest door slammer drivers ever to walk the planet in Rickie Smith, you know that the car is going to be nothing but exceptional. Rickie, along with Rickie’s right-hand man Chad Hester are both on the property helping Keith get comfortable with the car and learn what she likes. 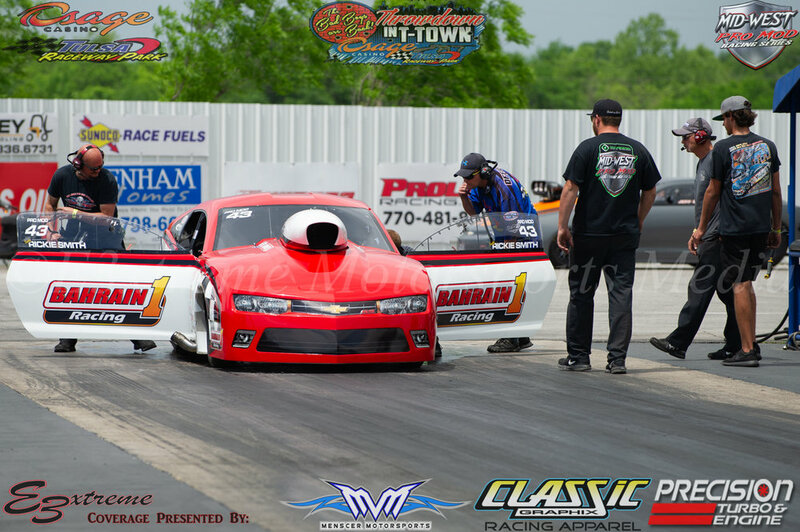 On Keith’s first test hit, he even had his onetime nemesis pulling into the beams, yes you see that correctly, last years Rookie of the Year and drag racing superstar Stevie Fast is putting Keith in the beams. So as you can see, there are plenty of people on the property helping Keith this weekend and making sure he gets nice and comfortable in the car. He will certainly have his hands full this weekend, as he has two of his own cars entered in the event as well. 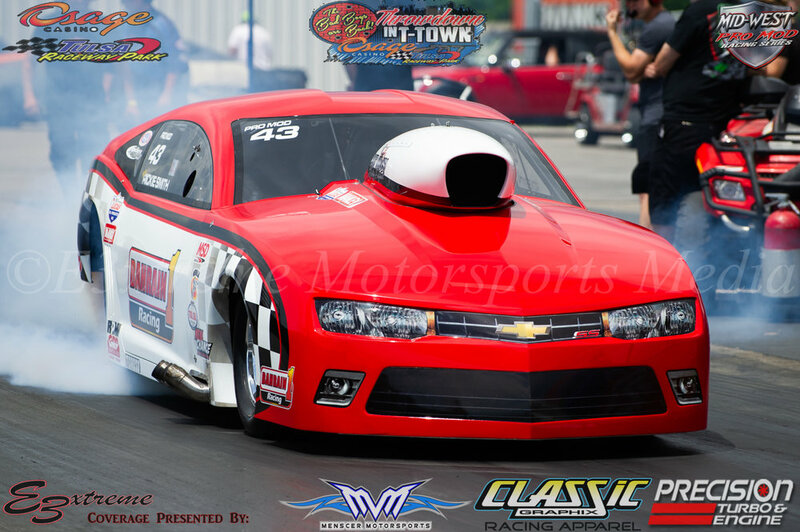 His pro mod and his radial car will both be competing this weekend. Keith is going to have to face a true gauntlet of racers though this weekend. Racers like Jonas Alshire, Daniel Pharris, and many others are already here in both pro mod and radial to make sure they are the ones cashing that check and holding that trophy at the end of the night on Saturday. We will be here all weekend to keep you abreast of all the Throwdown, MWPMS, and Keith’s Journey to Topeka.